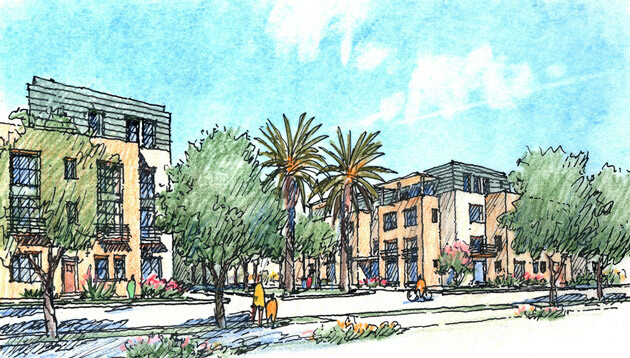 This plan proposes a pedestrian-friendly, 600-unit mixed-use transit village on 11 acres of land divided by the Metrolink and the Golden State Freeway. A new pedestrian bridge extends the existing street, enhancing the linkage of the transit hub to the surrounding neighborhoods and districts. A subterranean parking garage accommodates Metrolink commuters. 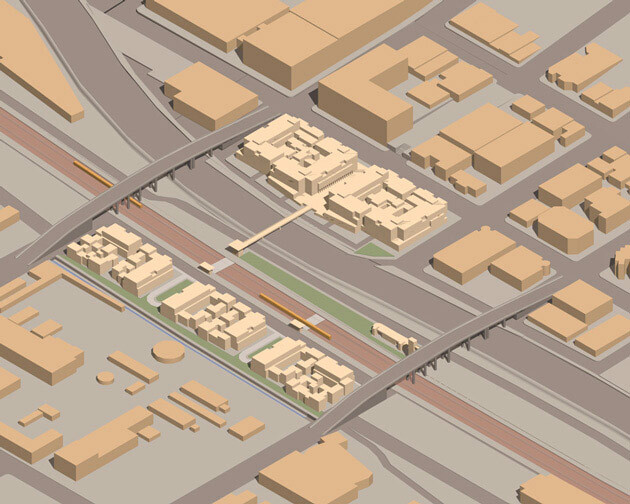 The northern site is bisected by Palm Avenue, which has been redesigned as walkable paseos that connect First Street to the new bridge. 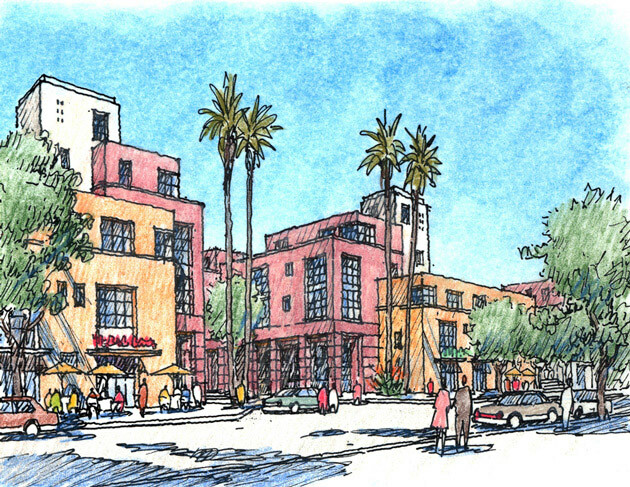 Ground floors along First Street and the Palm Avenue paseos will accommodate up to 30,000 square feet of retail and restaurants, strengthening the area's physical character and economic prospects. Two public greens on the southern site are surrounded by three blocks of housing that include live-work lofts, townhouses and stacked flats. 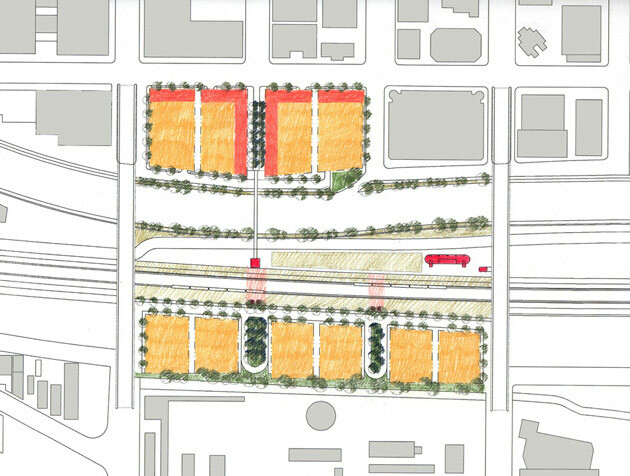 A tree-lined green faces Burbank Creek and will act as a buffer from an existing industrial area.